This rectangular shaped wooden box will lock your gaze instantly towards itself because of its exquisite beauty. 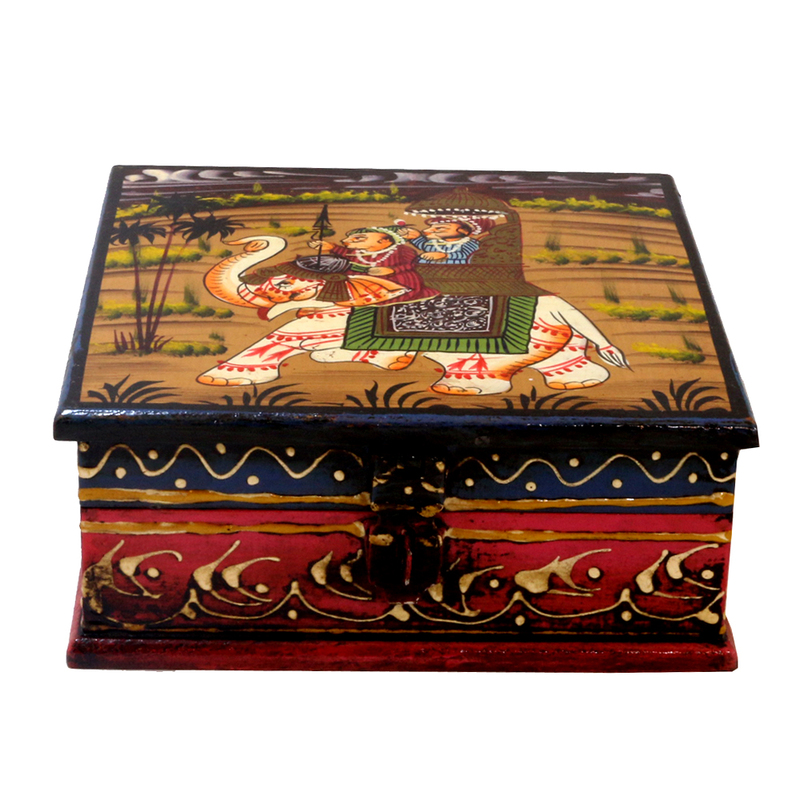 The multicolour Rajasthani painting & intrinsically hand crafted Read More..design on the surface of this box will undoubtedly make you convinced to buy it instantly! Show Less..